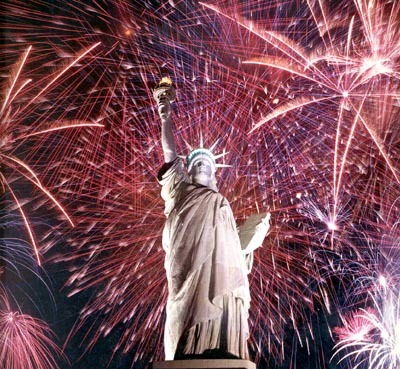 Happy Fourth of July to all of my American readers. Without getting all "political" on everyone, our nation is, in many ways, a freak of history. We were formed by taking on the most powerful empire in the world, we have a diverse population that amazingly sticks together (although it isn't always pretty), and we have the longest running democracy on the planet. So today in between barbeque and fireworks, stop and raise a glass to our amazing experiment. If you want to read last year's rambling about the founding fathers, click here.